These questions have largely gone ignored in the 10-month-old legal feud in Florida, where a woman named Belkis Rodriguez, 35, is suing Cabrera for $100,000 a month in child support for the two children he fathered with her during a secret, years-long relationship. 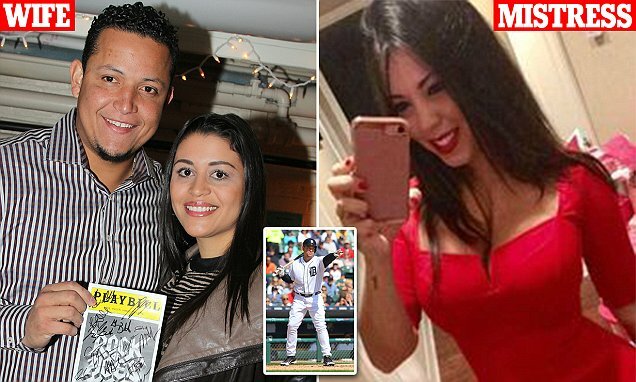 The latest allegations to surface are that Cabrera’s wife has been badmouthing the ex-mistresses’ children, while the ex-mistress is accused of cyberstalking Cabrera’s wife and their three kids in Miami and copying their photos off of social media sites to prove that he treats them better than her kids. Cabrera’s lawyer argues that Rodriguez is trying to take advantage of his client’s “good fortune” by treating child support like alimony. “This is not a divorce case and the mother is not entitled to recover funds to support the lifestyle she thinks she deserves as the mother of the children of a hardworking and successful athlete,” Hodas wrote in a May 9 court filing. Rodriguez’s lawyer scoffed at Cabrera’s claims, stressing that his client has raised the children almost entirely on her own, with no parenting help from Cabrera, never took a personal trip to California using child support money and spends “each dollar” Cabrera gives her on “specific, direct and identifiable expenses for the benefit of the kids. Rodriguez wants Cabrera to pay for a seven-night, $8,470 Disney Cruise for her, their two children and her mother this summer. Cabrera, who has historically paid for this cruise in prior years, offered to pay for the kids — but not Rodriguez and her mother. Rodriguez wants more money for attorney fees. Cabrera has already paid her $80,000 for her legal bills in this case and objects to paying any more. I am not really a fan of huge child support payments in the first place because I don't think the government should be telling you how to raise your children, beyond the obvious legal and moral minimums. $12,000/month for two children is more than sufficient. I would not increase that amount, particularly if Cabrera has been paying for other things that weren't included in that amount. It looks like Belkis is trying to extort either more money or time from Cabrera, while Cabera and his wife are resistant. The best solution would have been for Cabrera and Belkis to be honest with themselves and with Cabrera's wife. They should not have started with each other until they were divorced. Or, perhaps like Hugh Hefner or Tilda Swinton, the adults and Cabrera's children could have lived together amicably in a multiple partner household. But that would have been extremely unlikely to succeed. Most people aren't wired for that. So I would say that Belkis had to know that she and her children would never have the relationship or resources that Cabrera shares with his wife and their children. I don't think that the state can change this. If I were the judge I wouldn't order anyone, even a millionaire or billionaire, to pay $100,000/month in child support. That's silly. 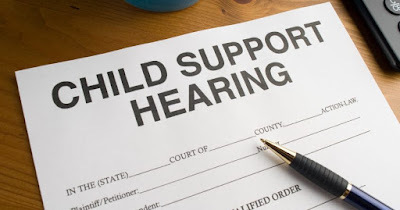 Child support is for making sure that the children are adequately fed, clothed, educated and housed. It's not about ensuring that the mother lives a rich life. Whatever relationship that Cabrera has with his wife and their children is not Belkis' business. Although it's mostly men in the news over such nonsense, more women are getting caught up. I don't see this as a gender issue. It's a fairness issue. I also would tell a man suing a woman for an outrageous amount to go to hell. Once we get past $10,000/month in child support we're not talking about the child's needs. We're talking about something else.